Want to know Runways information of a particular airport? Click here to find out. 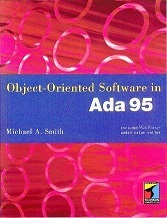 This book is aimed at students and programmers who wish to learn the object-oriented language Ada 95. The book illustrates the language by showing how programs can be written using an object-oriented approach. The book treats Ada 95 as a language in its own right and not just as an extension to Ada 83. This book assumes that the reader has learned a first language, such as Pascal, Modula, C++ or even Ada (on any undergraduate or Higher National programme in computing, engineering or science) and concentrates on the design and construction of object-oriented software. There are many examples of complete programs and the source code is available free of charge from HENSA (The Higher Education National Software Archive) using FTP. The host is micros.hensa.ac.uk, the login is hensa, the password is hensa and the file you require is micros/ibmpc/dos/a/a001/smith9x (all in lower case). The source text is in ASCII. All of the software has been written for and tested on the new compiler. The book is aimed at intermediate level undergraduates; that is, those who have studied the basics of program design and are acquainted with the fundamental concepts of data types and program control structures.